We recognize the importance of establishing a merchant account for your business. Whether you are a new or existing business, we can find you the perfect payment processing solution. We will customize solutions that fit your business needs including the transition to cutting edge equipment and top notch client service. 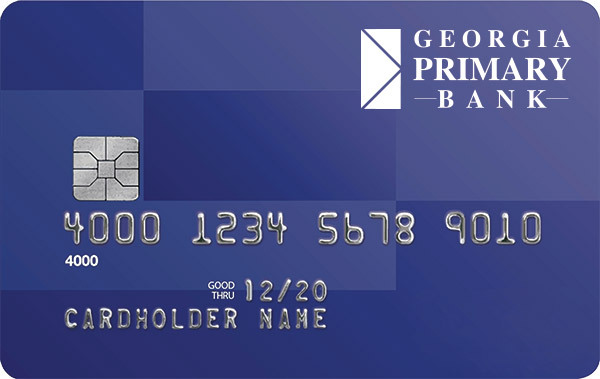 That is why Georgia Primary Bank associated with FineTech Business Solutions and CardConnect – a First Data company – to make sure that we deliver the best in banking and payment processing networks. Changes to any business can be overwhelming, especially when those changes are your merchant processing account. FineTech Business Solutions specializes in being able to streamline the process of moving your merchant accounts to Georgia Primary Bank while saving you money at the same time. Today, it is more likely someone will walk out of their house without their wallet than their smartphone. But with Apple Pay that will no longer prevent them from making a purchase! 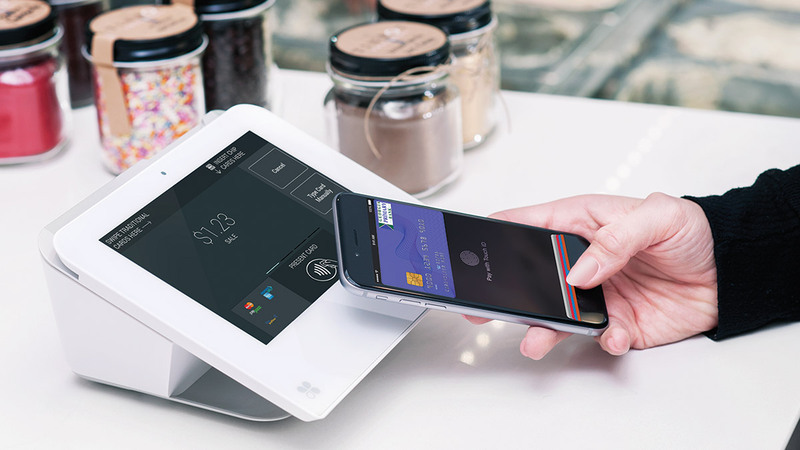 Apple Pay allows consumers the ability to tap their phone and pay anywhere contactless payments are accepted. No need for the presence of a credit card! Wouldn’t it be nice if your business technology were as easy to use as your personal technology? Clover is as easy. 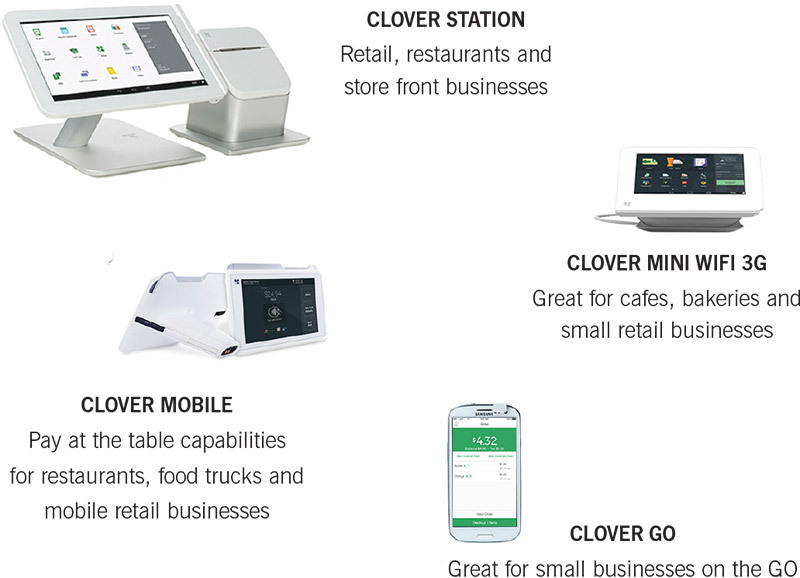 Clover Station helps you track inventory, manage employees, build lasting customer relationships, and accept payments with ease – all on one dynamic system designed for businesses just like yours. The ability to personalize your Clover Station with apps truly sets this system apart. You can exponentially grow the system’s capabilities with the ever-expanding Clover App Market, ensuring that Clover Station evolves with your business for years to come. EMV is the new way of accepting credit and debit card transactions. It stands for EuroPay, MasterCard®, Visa®, and is the little computer chip embedded in the newer cards. It became commonplace in Europe over a decade ago, and is now becoming commonplace in the U.S. This safe and fraud reducing technology will help protect issuers, merchants and consumers against losses from the use of counterfeit and lost or stolen payment cards. Instead of storing information on a magnetic strip, the realtime transaction is communicated through the chip. The chip interacts with the merchant’s point-of-sale device to make sure the payment card is valid, and with the use of a PIN, that it belongs to the person using the card. This kind of chip technology adds layers of security against fraud and is virtually impossible to duplicate. We offer highly trained professionals who are prepared to assess your current equipment and processes, evaluate your business and provide options tailored to you and your business. Please fill out the form below or call David Finete, FineTech Business Solutions @ 770.265.2132 for more information or to schedule your assessment today. These materials were prepared by FineTech Business Solutions. All trademarks, service marks and trade names referenced in this material are the property of their respective owners. CardConnect is a registered ISO of Wells Fargo Bank, N.A., Walnut Creek, CA. CardConnect FineTech Business Solutions is a contracted reseller of the Clover (TM) Solution. This Web page or Web site is not an official page of Clever Network Inc., First Data, its subsidiaries or affiliated businesses.